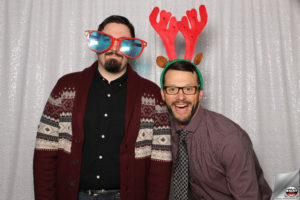 Wacky Shots Photo Booth is now part of Weddingwire.ca. As we continue to grow and expand our business, we’ve signed up with weddingwire in order to become more visible and searchable to future brides. We have all heard and experienced how gruesome and tiresome it is to search for wedding vendors, by becoming a member of weddingwire Wacky Shots has increased it’s possibility of getting found all the more. Happy hunting brides and grooms! We recommend asking these questions whenever you look for a photo booth. 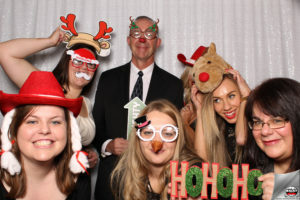 12 Questions to Ask the Photo Booth Company You’re Hiring. Photo booths are now becoming a standard addition to special events such as weddings, birthdays, Sweet 16, Senior Ball, Junior Prom, Fund Raising Event or High School Reunion. One side effect of this surge in popularity is a wider selection of services and price ranges for you the consumer but with it, it brings an increase in less reputable companies looking for a quick buck. So how will you know which company to work with? Which one will deliver the quality you expect at a price that make sense? Keep in mind price should NOT be the only selection criteria you use. Quite often a price is cheap for a reason. Instead consider which one will you give you the best bang for your buck? Do a little homework. By doing a little homework and asking the right questions, you’ll get much more out of a meeting or conversation with a prospective photo booth supplier. 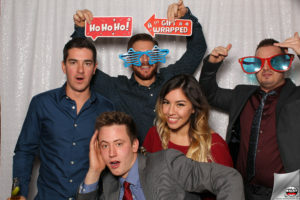 Easiest way is to Google a local photo booth company within your city, wedding websites, local party suppliers and related event sites or shops can be a great a starting place. It should give you a good list of photo booth companies in your area. Another way is to ask friends and families who have recently rented a photo booth. Ask them about their experience and the quality of service. Their level of responsiveness. If you leave a message how long does it take them to return your call? (Side note, what does their voice mail greeting sound like? Friendly, stodgy?) If you contact a company via email how long does it take them to respond? The quality of their photos from their website and discover their past clients. This will give you an idea about their reputation and how professional the supplier is. How complete is any quote they may provide you? Is it just a price for a set period of time (3 or 4 hours) or does it tell you what’s included? These things, while simple, may give you an early indication of the level and quality of customer service you can expect. If you are tight on budget, always keep in mind that it should NOT be the only deciding factor that you should use as you might end up getting what you paid for. Low priced rental companies charge low for a reason. High priced rental companies charge high for a reason. You don’t go to a Mercedes-Benz dealership to negotiate for a price match just because you saw a lower priced car from a GM dealership. Is my date still available for booking? Sounds obvious but this is the first thing you should ask. There’s no point in continuing if they’re not available. How long have you been in business? Look for a company that has been around for at least one year. If less than that, ask if you can get some reference from past customers. Do you use a contract? A contract is designed to protect both you and the wedding professional. Don’t settle for a verbal agreement, insist on something in writing. What type of photo booth equipment do you use? 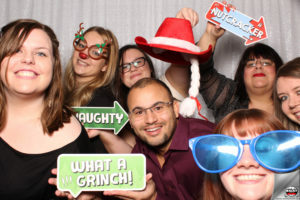 Professional photo booth companies invest in high quality gear such as DSLR cameras, industry-grade dye sublimation photo printers, premium backdrops and camera lighting. Ask your supplier what brand/model of printer, lighting strobe and camera they are using and Google these items so you can have a good idea on how much they cost. Costly printers and cameras mean that they are using quality gears for you event. Most “fly by night” operations are using printers that you can buy from Wal-Mart for $100. These printers are painfully slow (up to a minute per page) and you won’t be able to recognize the faces of your guests. Go ask the supplier how fast their printer is. If they can print photos in seconds, you know you are getting the good stuff! Are you insured and if yes, how much is your insurance coverage? You were probably thinking, “Geez, it’s just a photo booth what could potentially go wrong?” There is actually more to it as photo booths are powered by electricity and there are tripping hazards when installation is not done properly. You don’t want grandma to trip over an electrical wire that is laying around the area due to poor workmanship. Choosing a fully insured company is important as it will protect you when something unfortunate happens in your event. Most fly by night companies don’t invest in business insurance and it will be risky for you to work with these companies. 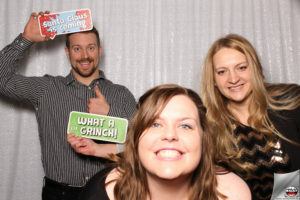 It is also good to ask if the booth is handicap-accessible so all of your guests can enjoy the photo booth fun. What style of photo booth do you have? Is it an “open air booth” pipe and drape or homemade booth? 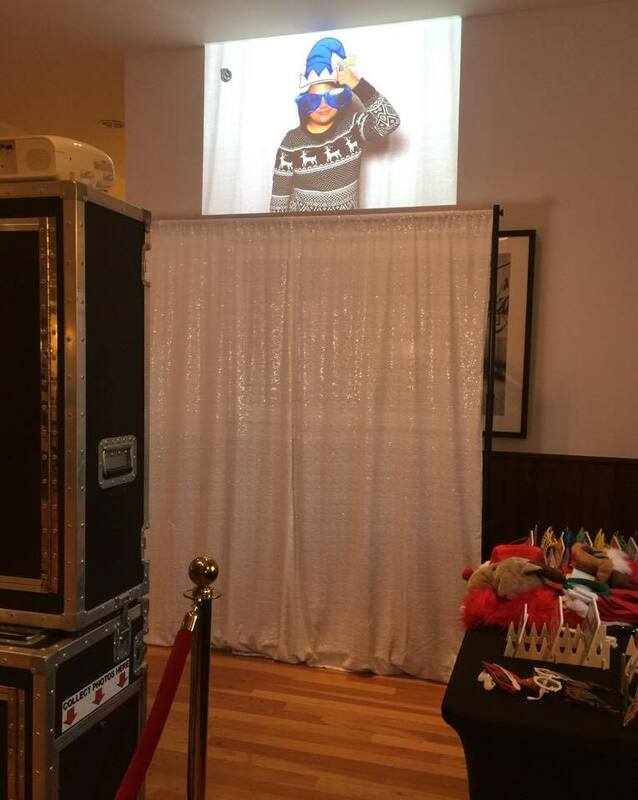 There are two types of photo booth: Fully enclosed and non-enclosed – often times called “open-air” photo booths. 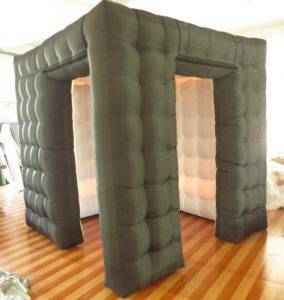 A fully enclosed booths offer more privacy for your quests while the non-enclosed booths offer more flexibility in terms of the number people who will fit in the photo. One is not better than the other and selection will be based on your preference. 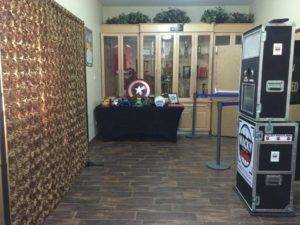 It is also good to request for photo booth setup photos from the supplier or check their booth setups from their website. You will normally see how professional and organized the company is when you check how they install the booth from past events. How many people can fit in the booth? Some booths especially the enclosed ones can only fit 2 to 4 people and this results in longer lines of people waiting to use the photo booth instead of actually using it. If you only book a two-hour event, your guests will get less photos. What are your standard prices and what is included? Is there a premium package and what is included? Price will always be different for each company especially when you factor in experience, reputation and expert skill. Generally, the most talented professionals have a higher price tag because they are worth it. They will always offer different packages. 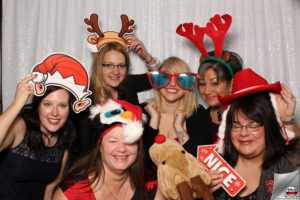 Professional photo booth companies normally include more products and services in their standard packages (i.e. social media sharing station, free online gallery for your guests, premium backdrops, fast printers, etc.). The lowest cost isn’t necessarily the best deal; some higher quotes include services that you have to pay extra for in other packages. Make sure you take this into account. Look for all-inclusive pricing. What mode of payments do you accept? 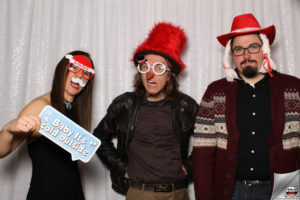 A professional photo booth companies accept cash, check and credit card payments and will ALWAYS provide you with an invoice whether you ask for it or not. How much is the deposit to book an event and what are the terms of payment? Photo booth companies collect booking fee to secure the date for you and it differs for each supplier. Some will collect as little as $100 to book and some will require 50% of the total payment. . Likewise some may require the balance is paid 7 days or more in advance of the event date. Find and negotiate what payment terms work for you. Do you customize the design of the prints? Does the vendor only offer photo strips or are other layouts available? Will they try to match the colors in your wedding? If a themed event is important to you, make sure to ask the photo booth supplier this question. What other services do you perform after my event? 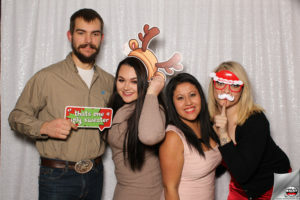 After-event-service is one of the services that professional photo booth companies do not neglect. They make sure everything is taken cared-of even after the event is over. They normally send you a thank you note and a link to your gallery so you can send them to your friends and families to download. Good companies care about feedback on their service and are not afraid to ask for suggestions to improve their products and services. Try to ask this question to all your potential vendors and find out who responds well. It is always best to call your vendor and ask these questions but if you are busy, you can just copy and paste these questions below and see how timely your vendors respond. Happy photo booth hunting!